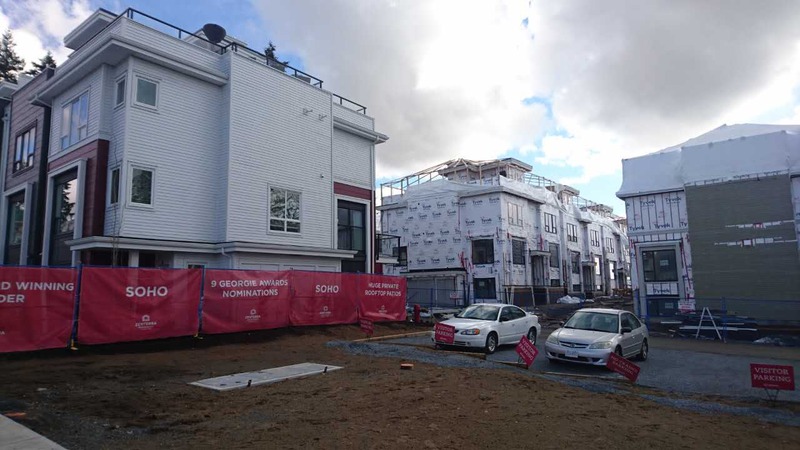 The Collection at Orchard Grove is a new single family home development by Ikonik Homes currently in preconstruction at 168 Street, Surrey. The Collection at Orchard Grove has a total of 18 units. 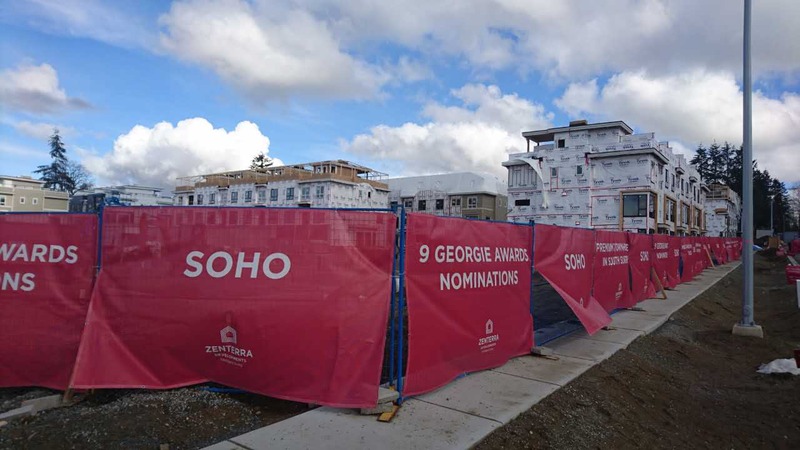 South Ridge Club is a new townhouse development by Adera currently under construction at Mountain View Drive, Surrey. The development is scheduled for completion in 2018. Sales for available units range in price from $599,900 to over $849,900. South Ridge Club has a total of 209 units, sizes range from 1382 to 1991 square feet. Experience a unique opportunity to live at South Surrey’s newest townhome community, South Ridge Club. Close to schools, shops and cafes, these spacious and elegant homes offer views from covered rooftop patios, and are surrounded by abundant green space. At the heart of this experience is a private clubhouse, complete with an outdoor pool, full exercise room, lounge, kitchen and movie theater. 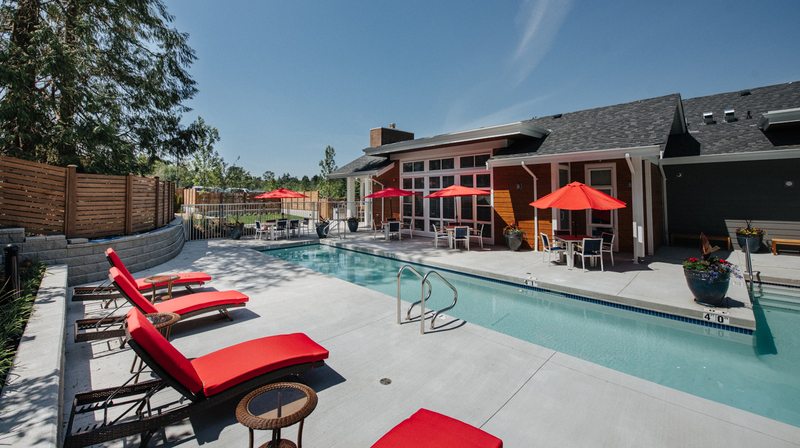 Driven by a commitment to health and social well-being, South Ridge Club is a good life community designed for young families and active adults. Building on an already vibrant community with Willsbrook and Greenway, Grandview is the third and final release of homes at South Ridge Club. These elegant 3, 4 and 5 bedroom homes, ranging from 1,350 to 2,000 square feet, are thoughtfully designed to reflect a social, active and healthy indoor/outdoor lifestyle. Featuring authentic West Coast Modern design, locally sourced materials and environmentally sustainable architecture, the South Ridge Club is essentially an extension of your home. With a pool, hot tub, outdoor BBQ space, theatre room, lounge and more, you’ll feel like you’ve got a personal vacation getaway right next door. Finesse your strokes in the heated outdoor pool, with lanes for swimming laps and a splash zone for kids to play. Entertain year-round on the covered outdoor patio, with barbeque nook, green space, ample seating and a kids’ play area. 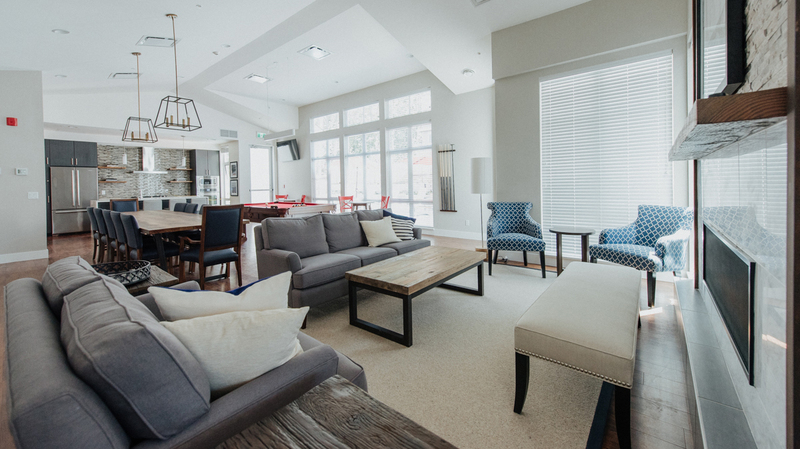 Primed for serious socializing, the Fireside Lounge features a billiards table, cozy fireplace, full kitchen and banquet-ready dining area. The fully-equipped fitness centre features top-of-the-line cardio and strength-training equipment, as well as space for stretching, yoga and meditation. The 1,300 square foot gymnasium has ample court space with full access to indoor sports equipment. 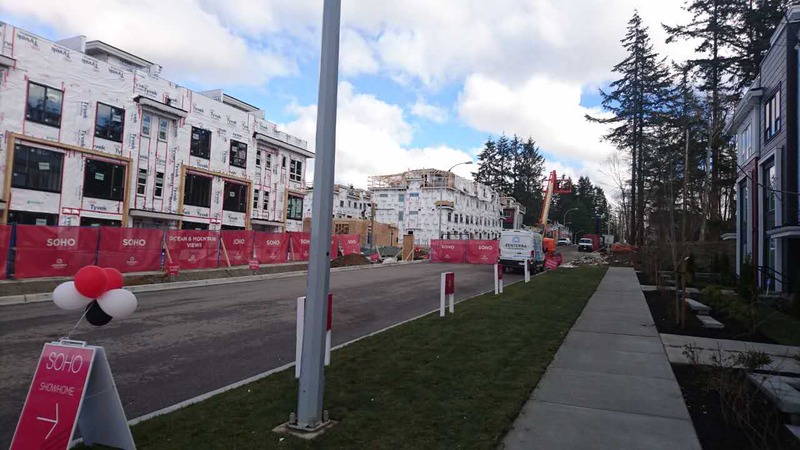 Clayton Walk is a new townhouse development by Anthem currently in preconstruction at 18570 70 Avenue, Surrey. Clayton Walk has a total of 143 units. 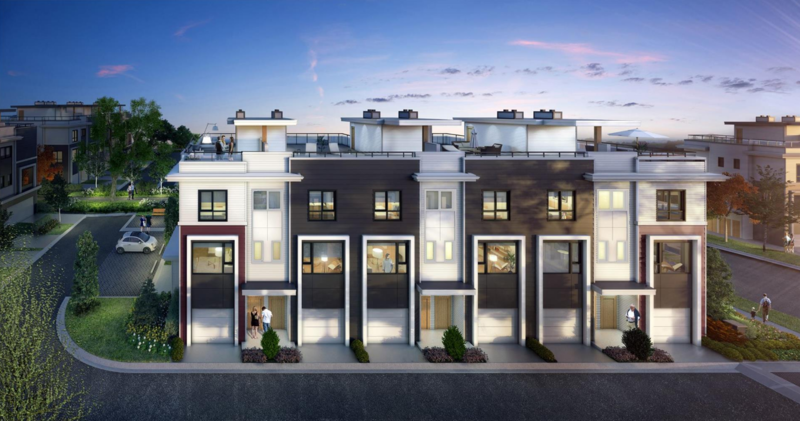 The fourth townhome community in Anthem’s Neighbourhood Series, this new community of two, three, and four bedroom homes is designed to meet the needs of growing families. 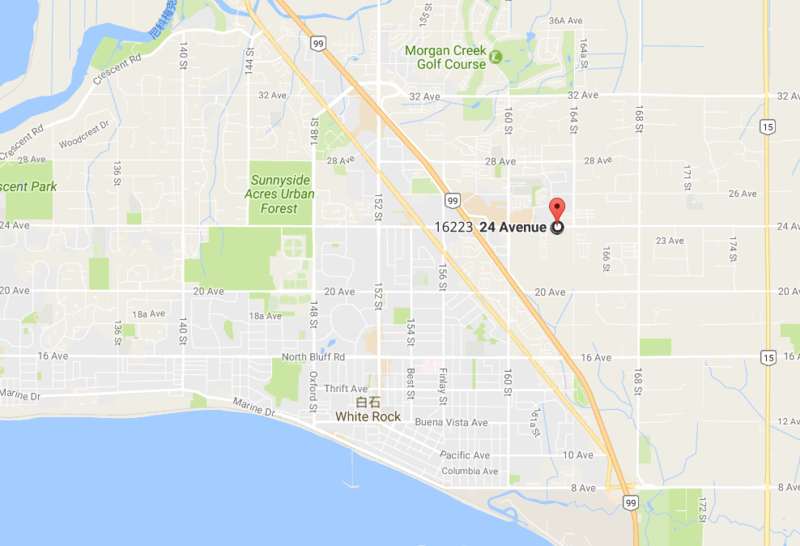 On a quiet side street bordering a city park and forested trails, it’s a short walk from a range of shopping, services, transit, and schools. The exterior of these homes features classic Prairie School architecture, with defined window elements, strong overhangs, and clean lines, bringing this elegant form together with function for our West Coast climate. The spacious well-planned interiors are designed for families: side-by-side garages, plenty of storage, conveniently placed powder rooms, and open spaces that encourage family to gather and make supervising the kids while multi-tasking a breeze. A thoughtfully designed amenity building with indoor and outdoor entertainment areas makes larger gatherings a four season affair. Foster Martin is a new condo development by Landmark Premiere Properties currently in preconstruction at 1484 Martin Street, White Rock. Foster Martin has a total of 334 units. Foster Martin will be an exceptional blend of uncompromised sophistication, urban connectivity and seaside living. Elegant architecture with views from every balcony of sunsets over the sea. A thriving urban community with everything you desire for mind, body and soul, near the beach. Two distinct lifestyle and design choices to define both your home and your sense of self. That’s freedom. And it’s exquisite. 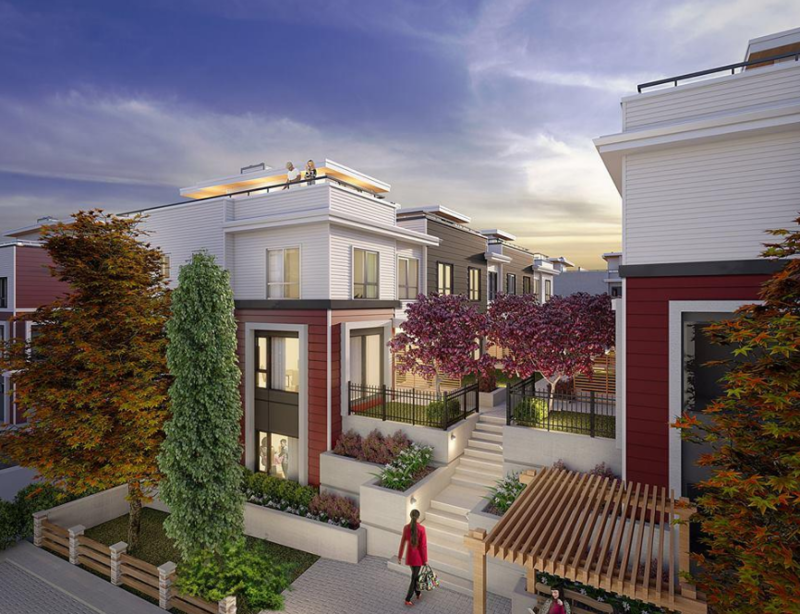 Three blocks from the sea, Foster Martin’s urban location in the heart of White Rock is steps from shopping, restaurants, and all the amenities of this thriving community. White Rock Commons, a new public plaza at Foster Martin for all to enjoy, represents a significant contribution to the future of White Rock and an anchor for the new urban centre currently planned by the city. With contemporary architecture, commerce and retail complemented by beautiful green spaces and public gathering places, Foster Martin on White Rock Commons is cultivating a vibrant urban energy in this city by the sea. The community as a whole will enjoy the tranquil water features and pretty pathways providing access to the shops, restaurants and boutique wellness facilities of White Rock Commons. Living here means living well. A gleaming white, 500-ton boulder sits prominently on miles of sandy beach. So bright is the white rock that it was used by 19th-century sailors to guide them to shore. So prominent is the white rock that it is woven into the myths and legends of the local Coast Salish peoples. That legendary white rock is now a modern-day beacon that shines luminously in its unusually sunny location, attracting bustling crowds to the pier and promenade that define seaside life here. A vacation destination since the turn of the century, holiday seekers came by train to visit the expansive beach and the celebrated pier, which opened in 1914. Both train and pier are still here today, and the holiday mood has never left.